While many would lament this culinary gap and continue to accept their fate of having to venture further afield for their broth, Greenpoint resident Daniel Birnbaum decided to take matters into his own hands. 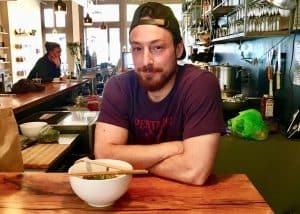 His passion for the hearty warming soup has lead him on a nourishing adventure which ultimately meant changing career paths in order to bring ramen to the neighborhood. 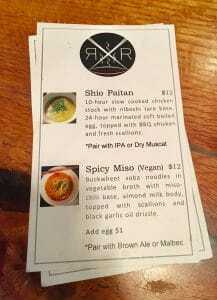 Ramen Railroad is popping up at Budin (114 Greenpoint Ave). Go slurp your bowl as a sign of appreciation for Daniel’s service to ramen on Mondays, Wednesdays and Thursdays for lunch and dinner between 12pm-10pm. 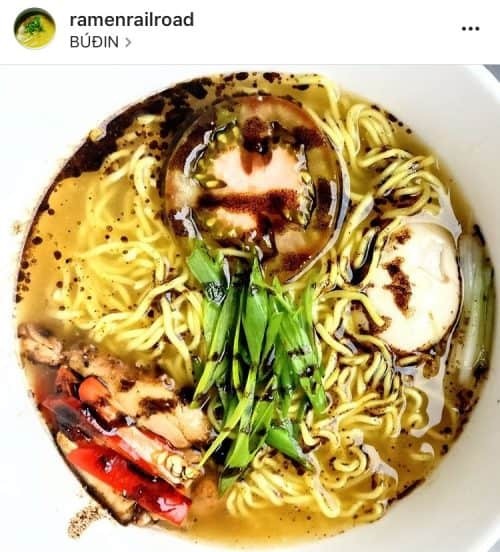 The ramen menu comes with suggested wine or beer pairings and Budin offers a dollar off draft beer and wine with any ramen purchase. also someone is about to open a ramen place on Franklin and Huron called Ramen Mafia. Or at least they started working on it, and put up their signage.